The CW TV network has greenlit a pilot episode for a Batwoman superhero drama series, making it the first-ever TV pilot led by an openly lesbian comic book superhero. The role will be played by the openly gender-fluid and lesbian actress Ruby Rose. Before this, Rose was perhaps best known for playing a lesbian inmate in the Netflix women’s prison drama Orange is the New Black. 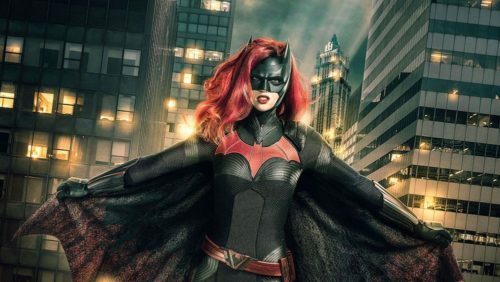 Greg Berlanti will serve as the executive producer of the Batwoman pilot episode. Berlanti is the gay TV producer who directed the 2018 gay teen comedy film Love, Simon and produced the very queer supernatural 2018 Netflix drama The Chilling Adventures of Sabrina. Rose first appeared as Batwoman late this last year in The CW’s three-episode “Arrowverse” crossover event known as Elseworlds. Related: Remember when Batman was gay? During the crossover’s second episode, Batwoman helped capture inmates escaping from Gotham’s Arkham Asylum. Afterwards, she told the other superheroes to leave Gotham before they caused more trouble. The CW received both praise and condemnation after announcing Rose as Batman in August 2018. The response compelled Rose to leave Twitter. In the print comics, Kane is a former top student of the U.S. Military Academy West Point dismissed for being openly lesbian. After becoming a tattoo-covered party girl, she is saved from a mugging by Batman and dedicates her life to training hard and fighting crime using body armor and weapon she stole from her dad’s military base.